Holy scha-molies. 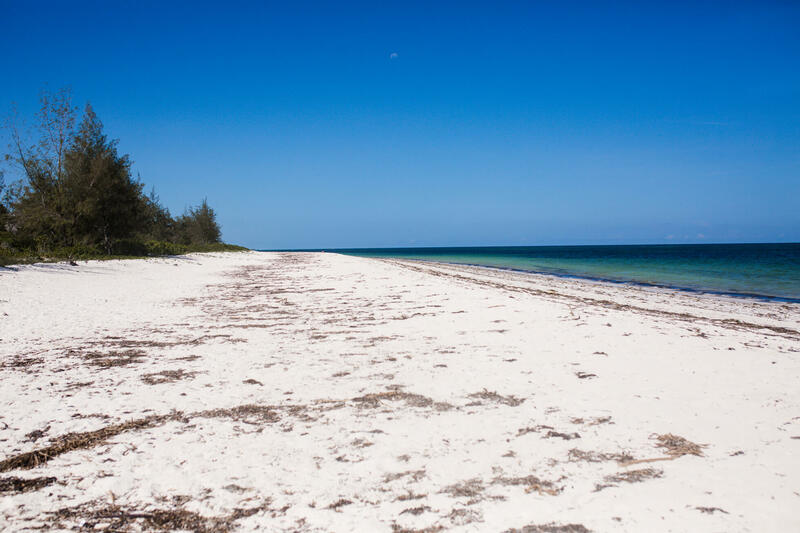 Who knew the beaches in Kenya were world class? Because I did NOT. I am honestly blown away by Watamu. I would never have thought to go to the Kenyan coast for fine white sand beaches, ridiculously perfect temperature waters and palm trees. Never ever. 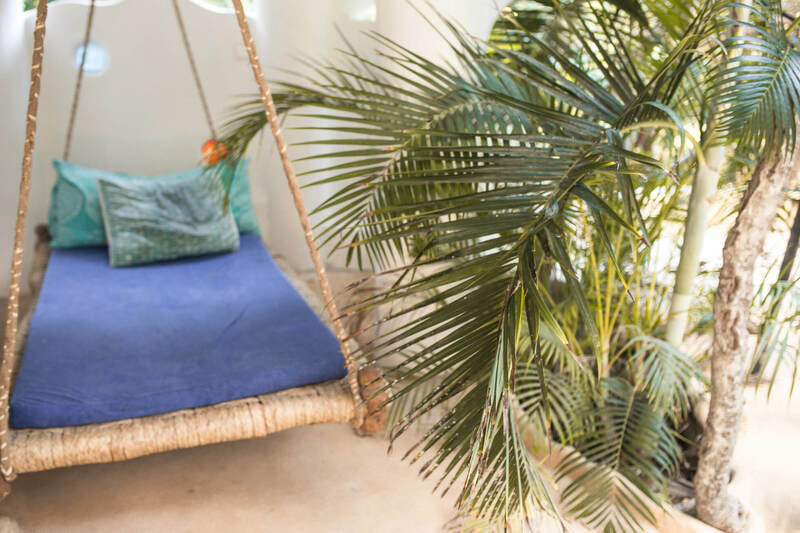 Add in turtles, coral reefs, incredible coffee, sunshine and open air treehouse accommodation with yoga by sunrise and sunset and you can imagine just how dreamy our post-safari beach days were in Watamu. Did you miss my Kenya safari guide and photo collection? 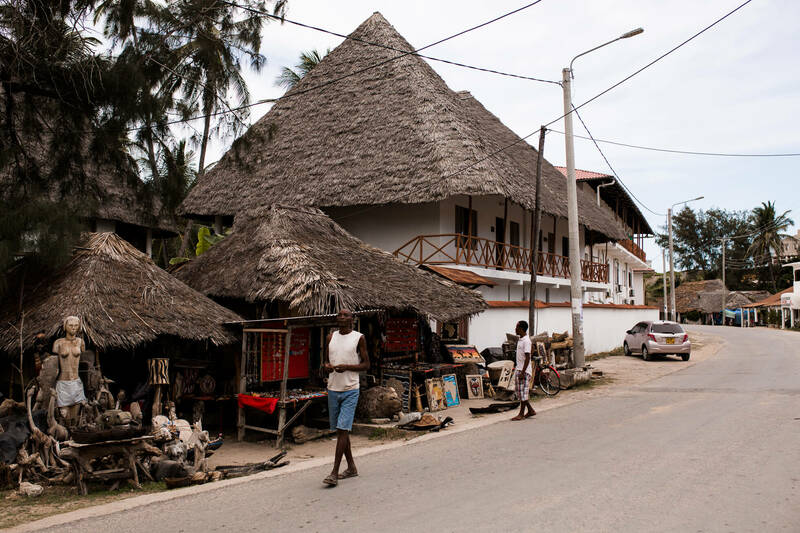 Watamu is a gorgeous coastal town in Kenya about 105km north of Mombasa and 15km south of Malindi. 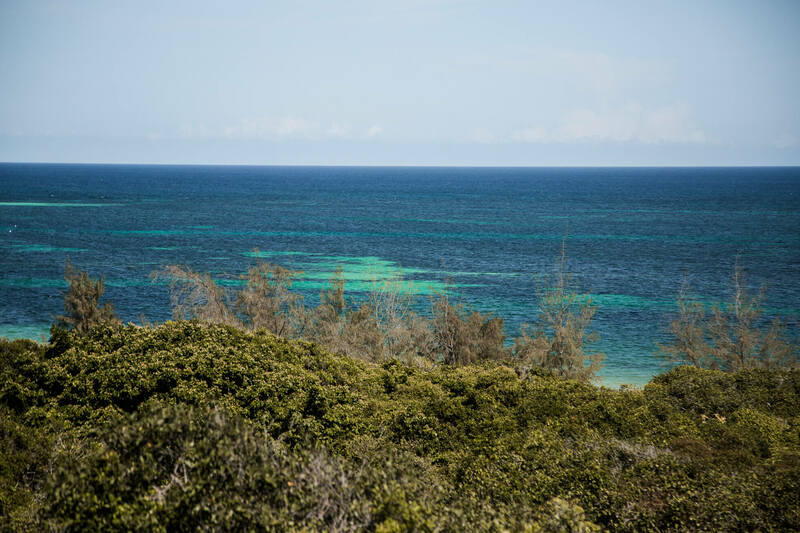 Think gorgeous fine sand beaches, stunning coral reefs sitting just off the shoreline, a collection of quaint Kenyan ice cream shops, cafes and local super markets to stroll between and an inland forest home to elephants, monkeys and rare birdlife. It’s not hard to fall in love with this slice of nature’s finest. 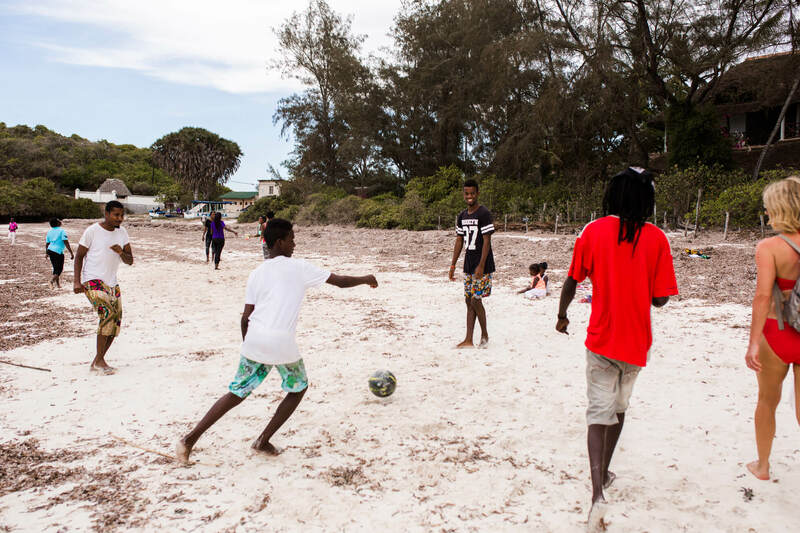 Watamu sits with the Indian ocean brushing along its beaches, the same waters that grace the idyllic destinations of the Maldives and Mauritius. I haven’t been to either of those destinations just yet but my time in Watamu certainly gave me a taste for the honeymoon lifestyle offered in them. I can see why they are Instagram’s most desired locations. I have never stepped foot in water like that of the ocean in Watamu. You can slide into the ocean without an ounce of hesitation toward the temperature (so warm but still refreshing), it’s clear enough to see the turtles gliding through and you have the finest of sands moulding between your toes as you meander through. The best part? It’s just so untouched, at the moment anyway. As you can see in the photo below there are stretches along the beach where, as far as the eye can see, you don’t see civilisation. No huge western hotel chains towering over the palm trees, no grids of sun loungers to climb through and no jet ski’s in the water. 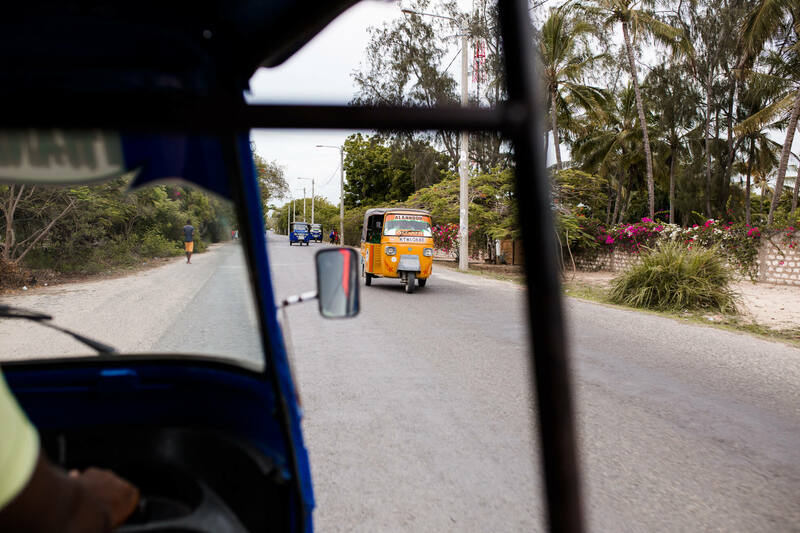 During our stay we resided a 5 minute tuk tuk down the coast from the centre of Watamu at Watamu Treehouse. Of course nearer the town they do have hotels on the beach but nothing excessive and I don’t feel like it takes away from the natural beauty. Just some sustainable tourism which is heavily relied on here by the Watamu community. 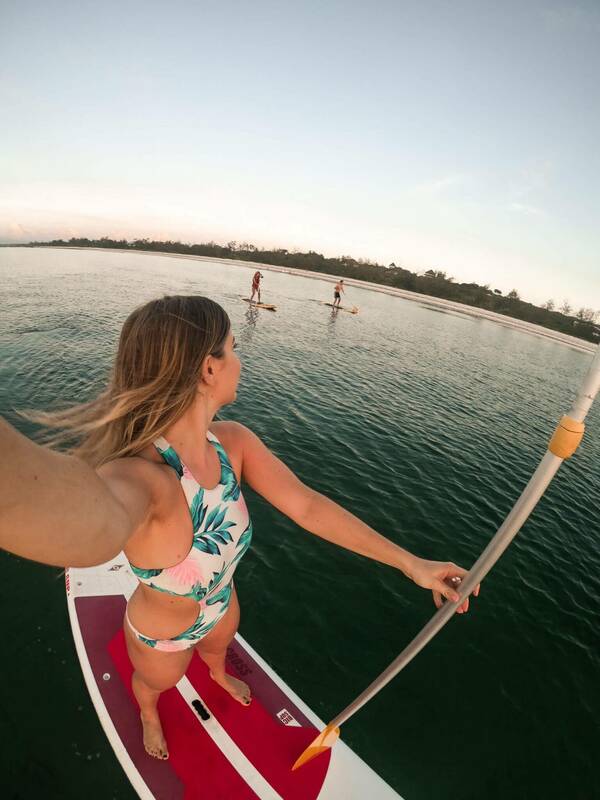 Honestly though, five days of safari and three days of post-safari relaxation in Watamu was the perfect combination of animal adrenalin and deep ocean front breathing for our time in Kenya. Just perfect. 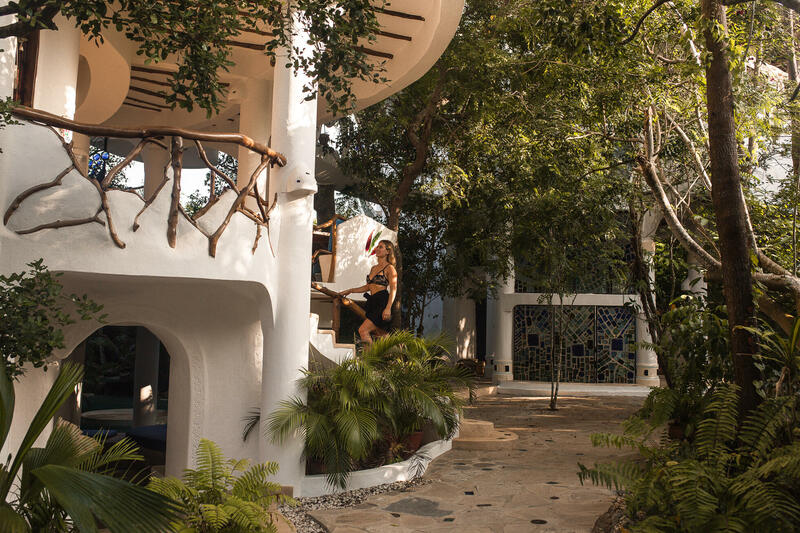 Now, not only did I experience the best beaches of my travels thus far whilst here in Kenya, but I also rested my head in the dreamiest setting of all. 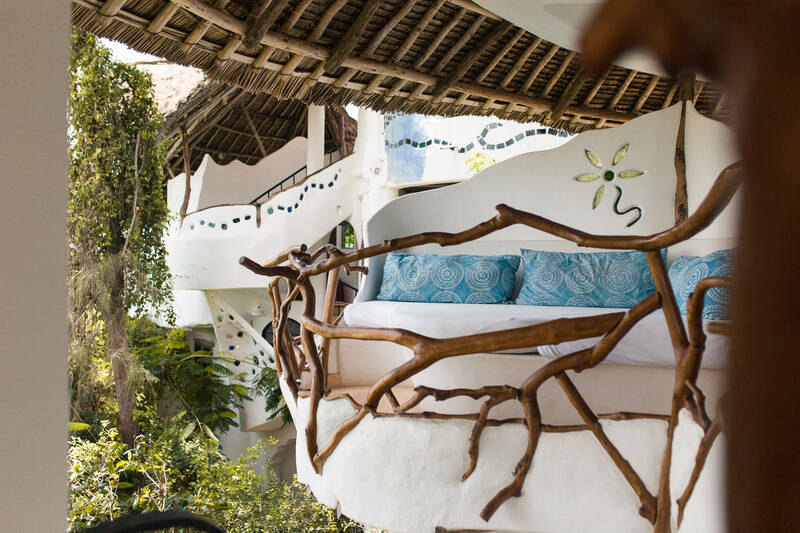 I got to stay in a treehouse for the first time and it was everything I imagined and more. Imagine waking up to the sound of the birds in the trees with not a window in sight to stand between you and the ocean air gracing your lungs. Imagine opening your eyes to the glimmers of golden light breaking through the clouds as the sun starts to appear over the horizon to warm the sky. 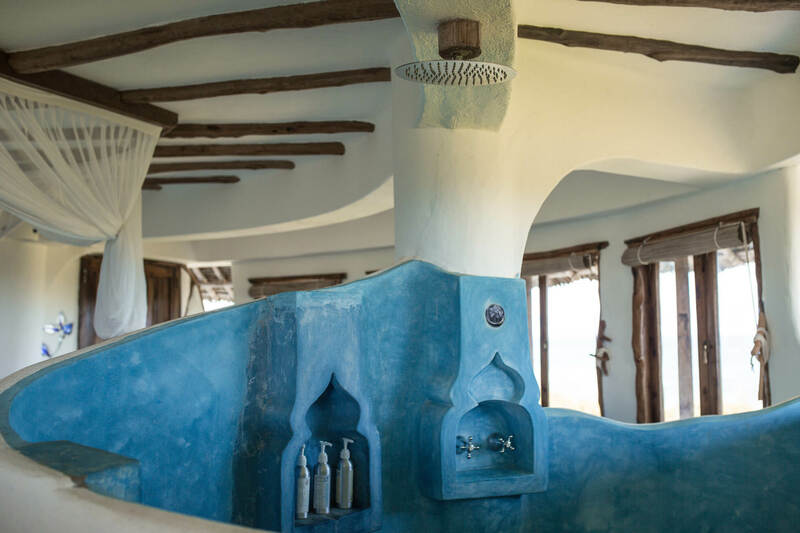 Now imagine freshening up in the open shower with herbal washes before popping on your dressing gown and having a Kenyan coffee arrive at your doorstep. You take half an hour to look across the contrasting blues of the ocean and the reefs that lay within it, pondering on whether you’d rather take the four minute walk to dips your toes in the ocean or tuck into a freshly made breakfast first. 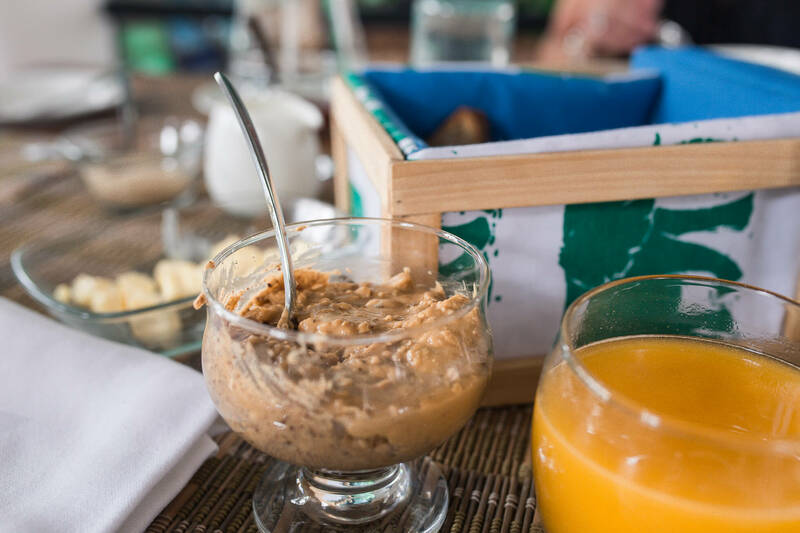 You remember the day is yours to design as you wish, the handcrafted food beaming with nutrition is to be served at a time of your convenience and the beach will be there all day long. You remember there’s a yoga class on the rooftop in half an hour and decide that the world can wait because you’ve arrived. 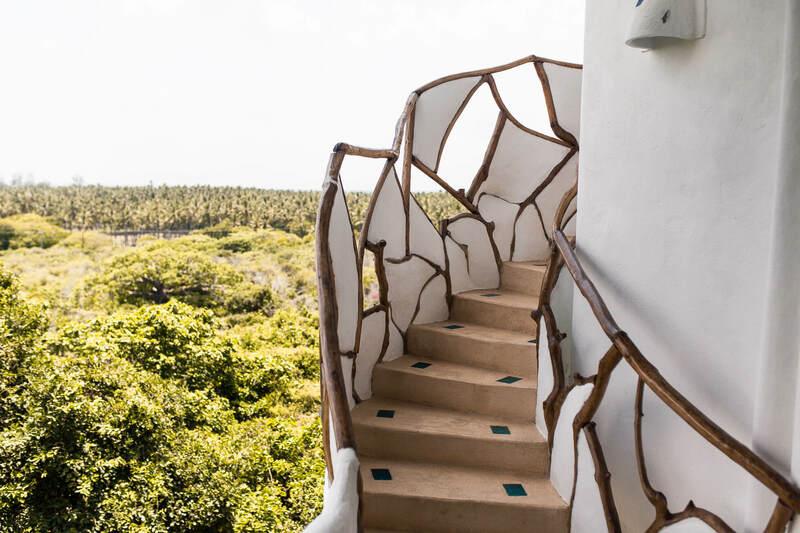 As you step barefoot around the bridges, stairs and towers of Watamu Treehouse, you’ll find yourself dipping in and out of the forest canopy and ocean breeze whilst being blown away by 360 views of the Indian Ocean, the creek, the coconut plantations and of the surrounding forests. The area feels wonderfully untouched and a welcomed breath of fresh air from other destinations i’ve been to that are set between this much natural beauty. There’s something seriously magical about Watamu. 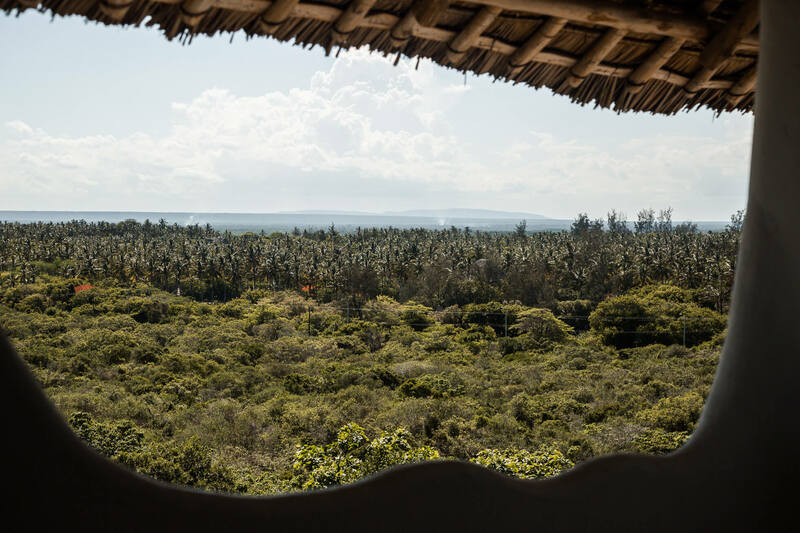 Staying at Watamu Treehouse is a once in a lifetime experience and one I was so happy to have with my mum to celebrate her year of turning 50. 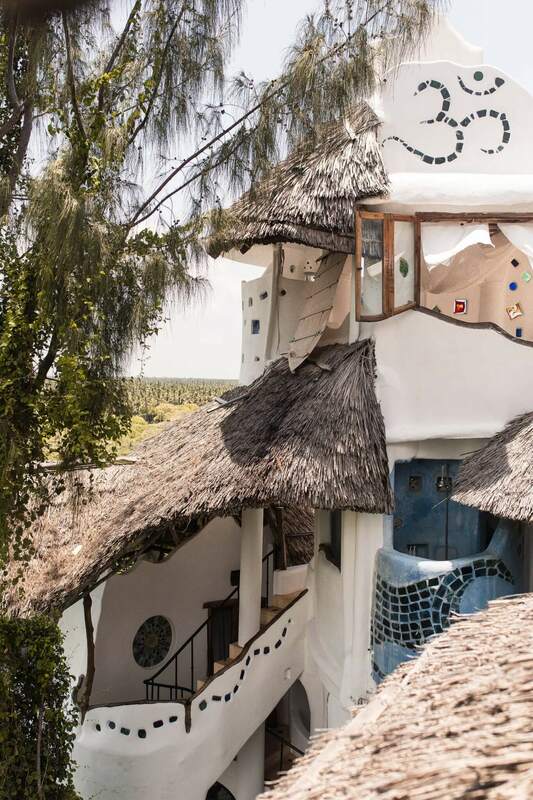 What’s so special about Watamu Treehouse? 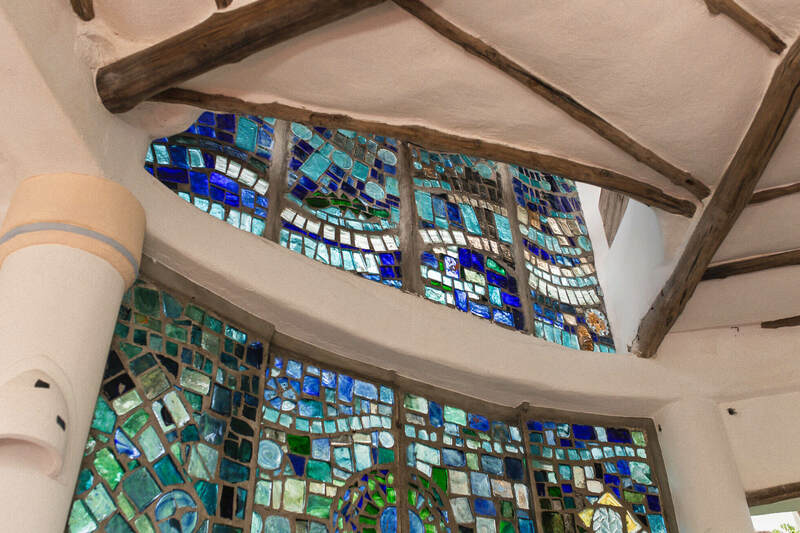 There are actually only seven bedrooms in this hand crafted treehouse which are spread between two towers, all with unique interior design as you will have seen in the pictures above. 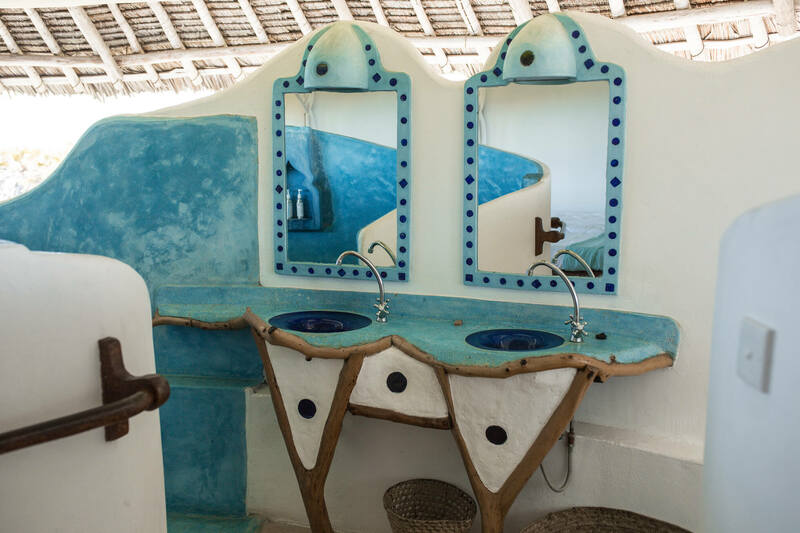 All of them though, encapsulate the Watamu Treehouse values: getting in touch with nature, elegant simplicity, outdoor living, rejuvenation and natural beauty. 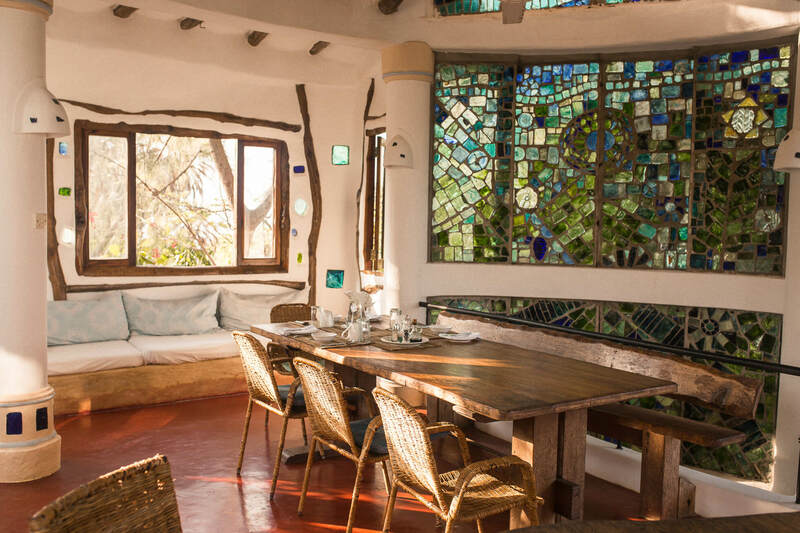 Watamu Treehouse was set up by the owner Paul as a home for wellness, with intention of being part of each guests individual journey to healing and good health. 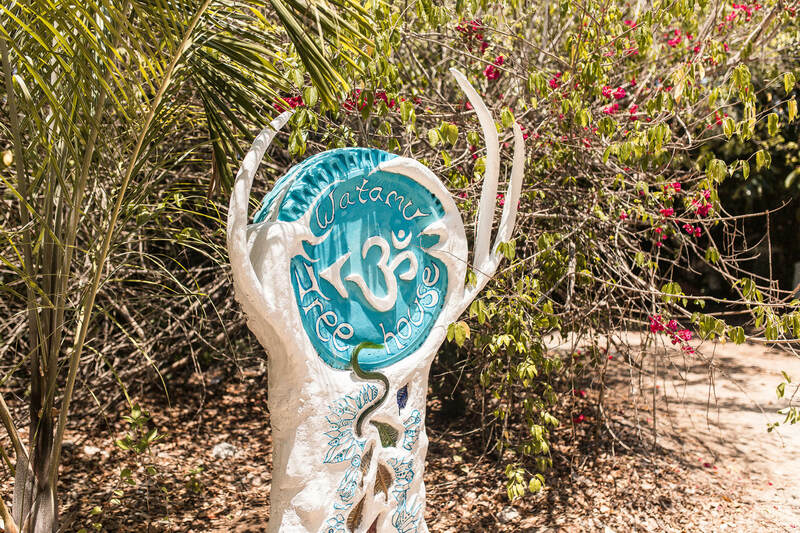 Should you wish to immerse yourself fully in the Treehouse, you can book a full board experience where the incredible on site chefs will nourish your body with insanely tasty and nutritious hand crafted meals. It is recommended though, that you go half board which is exactly what we did. 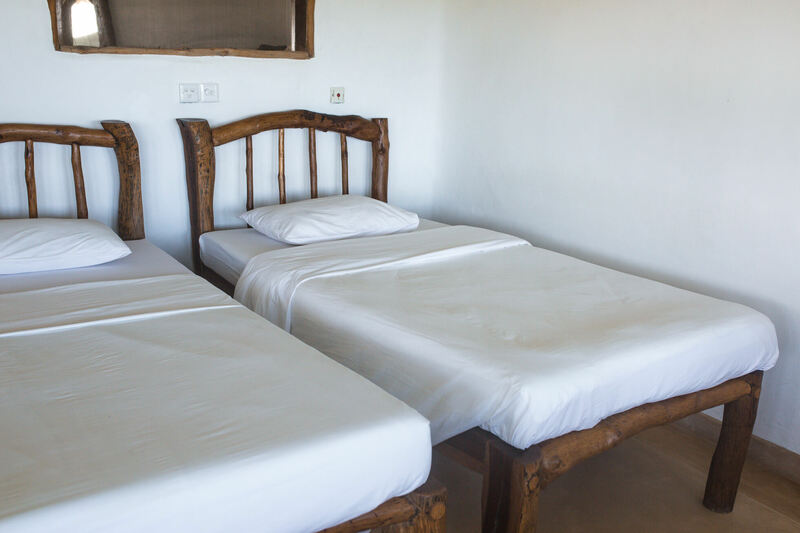 This leaves room to explore the town and support the local businesses – a chance to indulge in the Kenyan culture and cuisine. 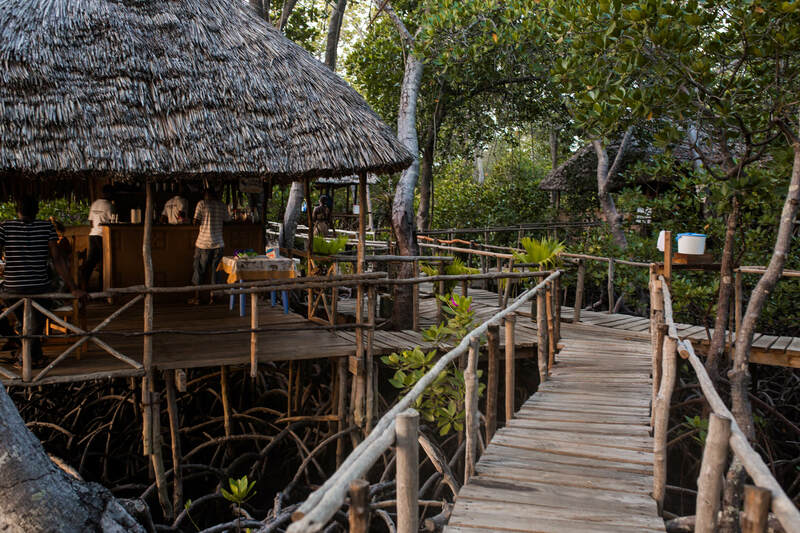 Top tip: Head down to The Crab Shack (a local community project) for dinner on the wooden structures that sit on the edge of the Mangrove forest with views over the creek. It’s the perfect place to watch the sunset, grab some fresh local seafood and all the money goes back into the local community. A must do when in Watamu! 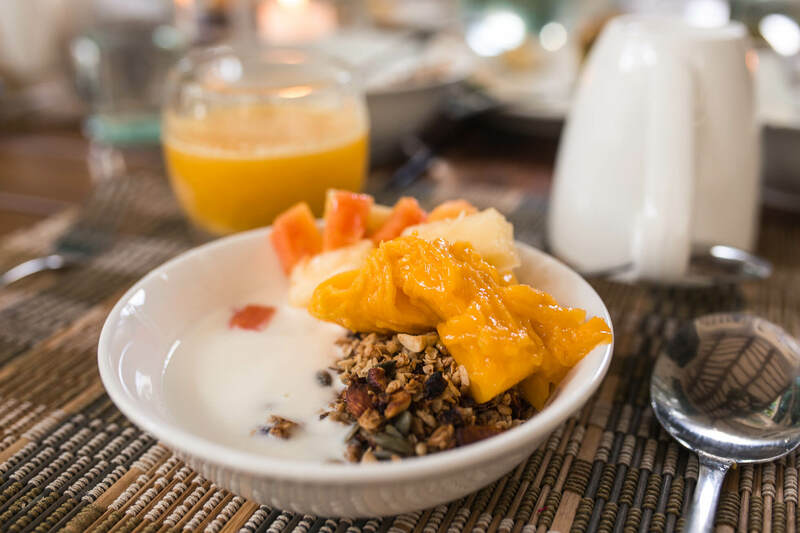 Whilst staying at Watamu Treehouse there is a wealth of opportunity to engage in outdoor adventure and physical activity all of which is presented to you upon arrival in the guest welcome pack. If there’s anything in particular that you’d like to do that you cannot find, Paul is so accommodating and i’m sure will help organise an experience tailored to your desires. There are also nearby snake and turtle organisations where you can get up close and personal with some of Kenya’s residents: Bio-ken snake farm, Watamu Turtle Watch. 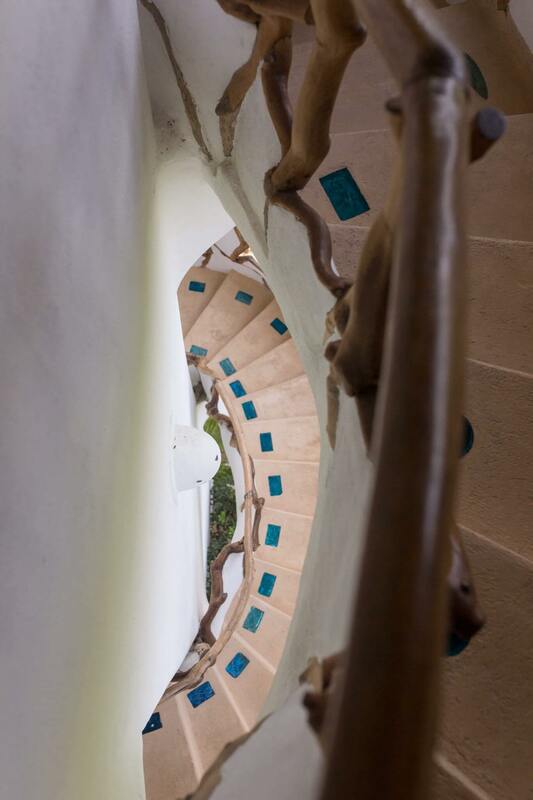 I want to emphasise the fact that your stay at Watamu Treehouse is more than just food and accommodation, it’s a home. 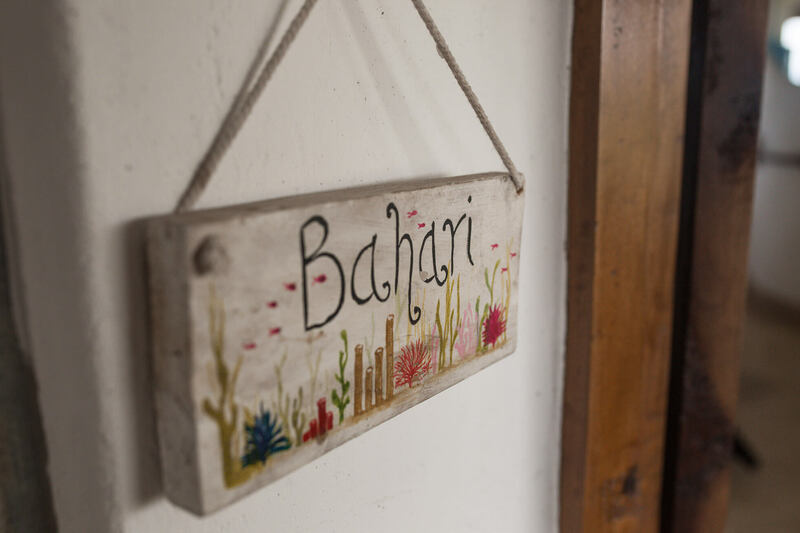 Paul has done an incredible job of making each and every guests stay feel personalised. The staff (most of whom are locals) are amazing, no task is too big and they always deliver the goods with infectious smiles on their faces. 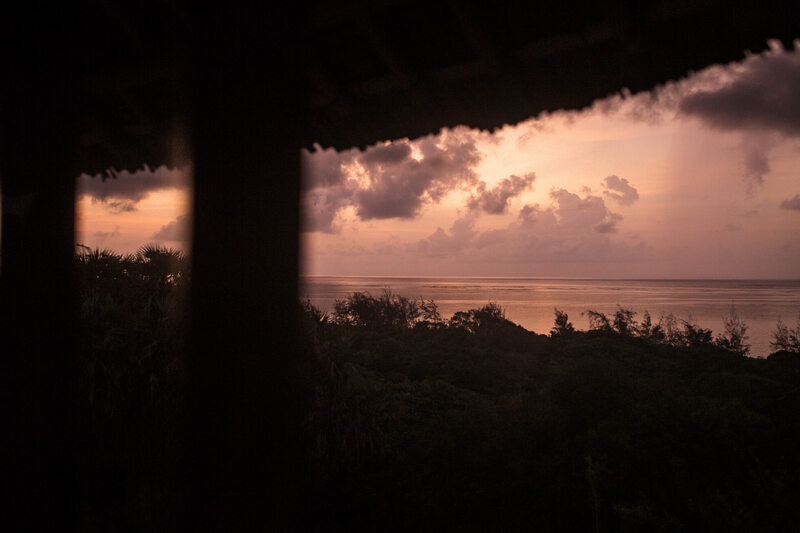 I can only hope that one day life brings me back to Watamu, and if it does – i’ll be very happy indeed. 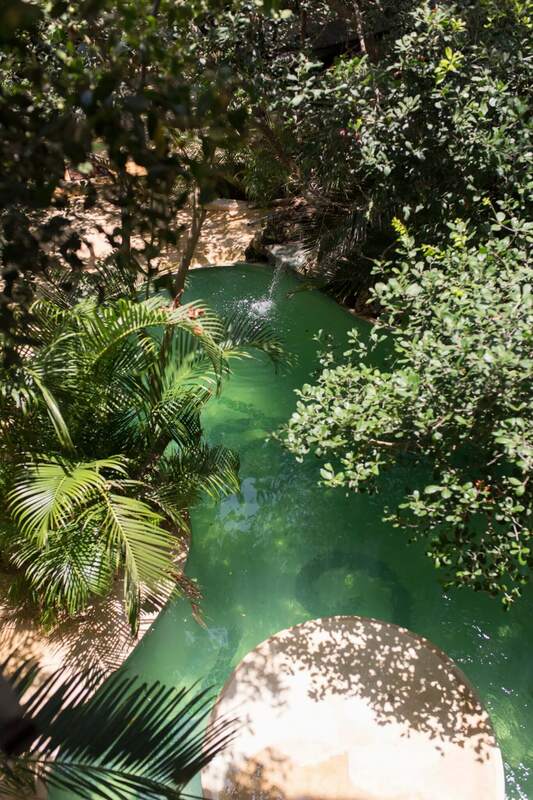 To see more information or to enquire about staying here at Watamu Treehouse check out their website here. 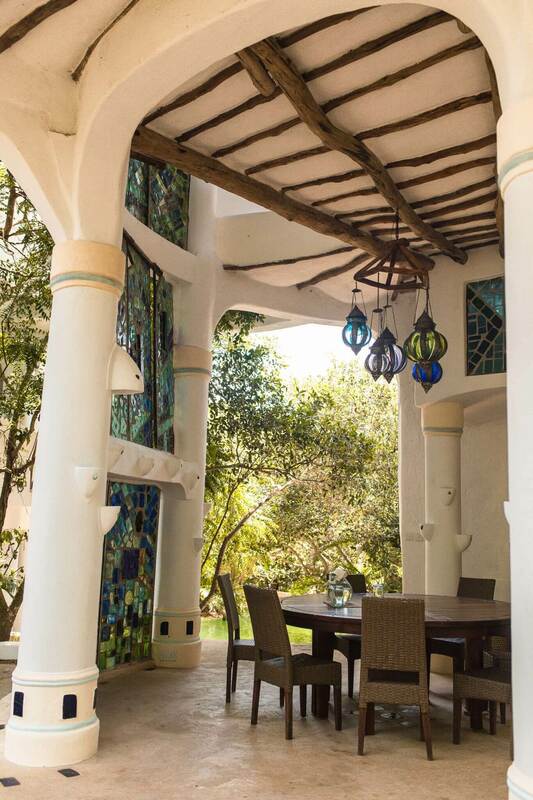 Have you been to Watamu? Do you have any top tips that I missed?? Are you part of the Where’s Mollie Global Travellers community? If not, why not! Ever wondered what cameras I use on my travels? 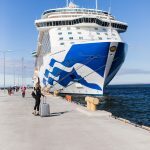 What websites I use to book my adventures? What essentials I always take with me?